More than 170 people have died in Nicaragua since unrest began two months ago. Protesters have taken to the streets demanding President Daniel Ortega and his wife and vice-president, Rosario Murillo, step down. Police and pro-goverment (paramilitaries) have been accused of using “lethal force” to crack down on the protests. On June 17, the day after a resumption of the National Dialogue where government and civic groups agreed to cease hostilities, remove roadblocks and allow for a foreign inquiry, at least eight people were killed in renewed violence. Demonstrations began on April 18, when the government introduced plans to cut pensions and social security, including decreasing pension payments by five percent and increasing worker social contributions by 0.75 percent. The change also increased employer contributions by 3.5 percent. Sandinista Youth, a group aligned with Daniel Ortega’s Sandinista National Liberation Front (FSLN), launched counterprotests in support of the reforms. “These are acts of repression and unexplainable censorship by the government, the government has been very secretive in releasing information to the public, but this censorship is at a new level,” Miguel Mora, director of 100% Noticias. Ortega, the last of the Latin American revolutionaries still in office, called for renewed dialogue with the private sector over the social security reform and welcomed modifications to implement the reforms “in a better way”. But in a televised meeting, aired on April 22, President Ortega scraped the controversial reforms. In the meeting, Ortega denounced protesters for acting like “gangs killing each other”. “We must re-establish order, we will not allow chaos, crime and looting to reign,” he said. 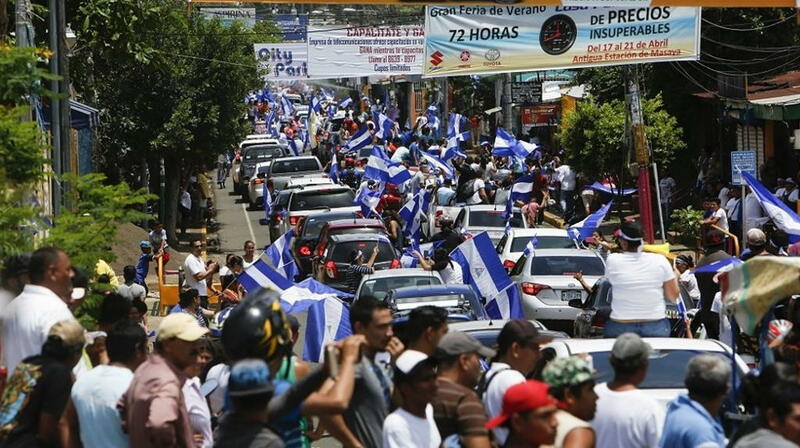 Due to the heavy-handed tactics used by the government to curb the demonstrations, tens of thousands of people continued to protest, demanding Ortega’s resignation. 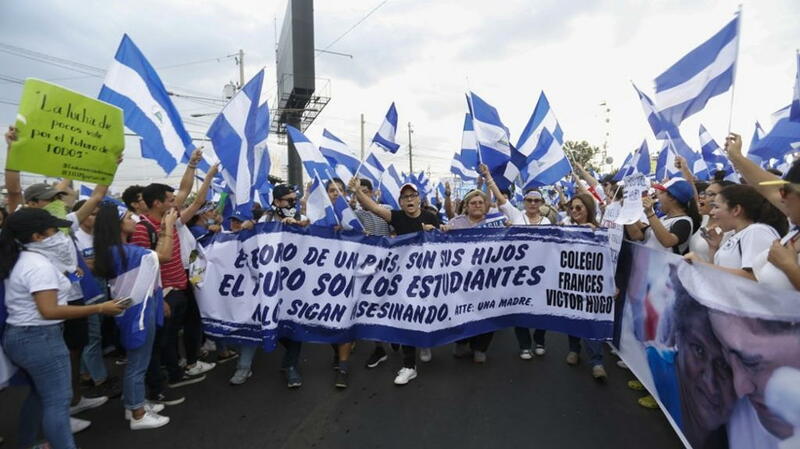 “We are fighting not only for the INSS, we are fighting for all those years of pillaging of the people by the Sandinista regime,” an engineering student in Managua who identified himself as Cristofer told AFP news agency during the protests. Ortega’s government has faced condemnation in recent years over plans to build an inter-oceanic canal, for hobbling political rivals, and consolidating power when his wife, Rosario Murillo, was elected vice president in 2016. On May 29, Amnesty International released a report accusing the government of working with pro-government armed groups to suppress the protests. It also said authorities “adopted a strategy of repression, characterised by excessive use of force and extrajudicial executions”. On May 31, the church issued a statement saying it would not resume talks while the Nicaraguan people “continue to be repressed and murdered”. On June 15, Ortega and civic leaders agreed to cease hostilities, remove roadblocks and allow for a foreign inquiry into the country’s bloodiest confrontations since a civil war ended in 1990. Despite the apparent truce, violence broke out a day later and at least eight people were killed. Both sides resumed talks, however, to address the Catholic Church’s proposal to anticipate general elections and implement political reforms. Nicaragua’s main business lobby urged President Daniel Ortega to hold early elections to steer the country out of weeks of destabilising protests. 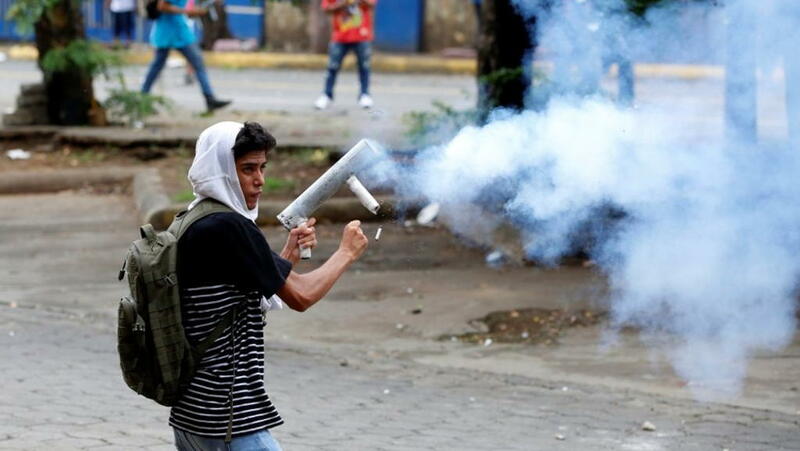 The Organization of American States and the Inter-American Commission on Human Rights have also said they would investigate the unrest. 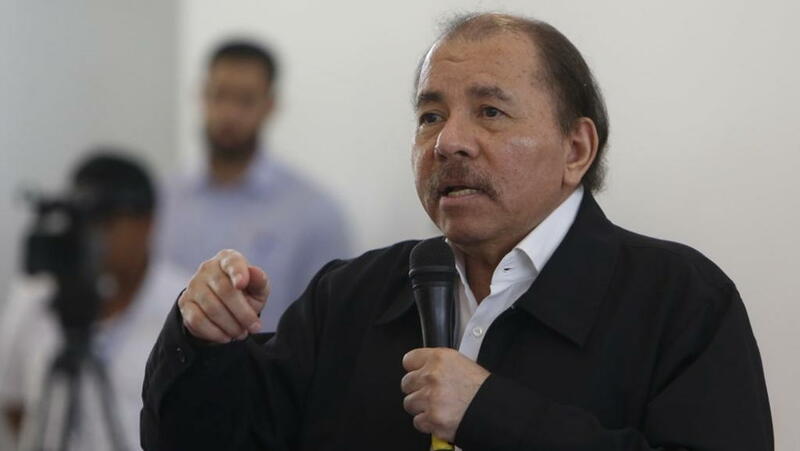 Ortega told supporters that Nicaragua “is not private property” in response to the demand, according to local newspaper La Prensa.